PRICED TO SELL - First Time Buyer Friendly - Ideal Investment Opportunity - Spacious Family Accommodation - Two Reception Rooms - Three Good Sized Double Bedrooms - Gardens - Central Heating (Where Specified) - Double Glazing (Where Specified). 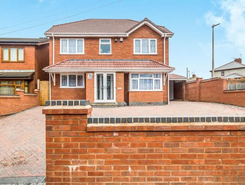 ATTRACTIVELY PRICED - Ideal for Families - Popular Suburb of the West Midlands - Spacious Interior - Spacious Interior - Front and Rear Gardens - Double Glazing - Central Heating - Driveway Parking - Garage. A ONE BEDROOM, GROUND FLOOR MAISONETTE IN A POPULAR ESTATE IN WEDNESBURY, IN AN EXCELLENT POSITION FOR COMMUTER ROUTES, LOCAL AMENITIES AND SCHOOLS. BRIEFLY COMPRISING; HALLWAY, LOUNGE, KITCHEN, BATHROOM, DOUBLE GLAZING, CENTRAL HEATING, LEASEHOLD, IDEAL FOR FIRST TIME BUY OR DOWNSIZING. Property website TheHouseShop have used their expert knowledge of the Wednesbury in West Midlands property market to help buyers, sellers, tenants and landlords save money when advertising and searching for property available online. Property marketplace, TheHouseShop.com, showcases property listings from private landlords, private sellers, high street agents, online agents and developers – meaning that tenants and buyers can find a unique selection of property from both professionals and homeowners. Homeowners can choose how they want to sell their property and can list with a traditional agent, online-only agent or sell their property privately with TheHouseShop. Wednesbury in West Midlands homeowners can save thousands by selling their home online with TheHouseShop. Private house sales are popular with Wednesbury in West Midlands homeowners who have been using the internet to sell property online for many years now. Property prices in Wednesbury in West Midlands can vary significantly and pricing your property correctly can be difficult – that's why TheHouseShop offer free professional valuations from local property experts to all private sellers using the site. Private landlords and sellers can make use of TheHouseShop's marketing options to generate more exposure for their property and quickly find the right buyer or tenant. TheHouseShop's property marketplace has made it easier than ever before for sellers and landlords in Wednesbury in West Midlands to save money and advertise their properties directly to millions of potential buyers and tenants. If you are a homeowner looking to sell or let a property in Wednesbury in West Midlands, then TheHouseShop are here to help! TheHouseShop also works with thousands of Wednesbury in West Midlands's best estate agents to help market their properties to a huge audience of motivated buyers and renters. 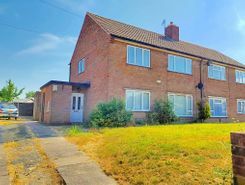 If you are looking for property for sale in Wednesbury in West Midlands, TheHouseShop has a huge selection of homes available to buy including flats, apartments, detached houses, bungalows, maisonettes, terraced houses and more. TheHouseShop is the only property website to display property listings from professionals and individuals, so you won't find their Wednesbury in West Midlands properties on websites like RightMove and Zoopla which only show estate agent listings. If you are looking for your new home, don't forget to create a free property alert on TheHouseShop.com to receive email updates anytime a new property matching your requirements becomes available. Choosing the best estate agent in Wednesbury in West Midlands to sell your home is important and TheHouseShop can help homeowners compare Wednesbury in West Midlands estate agents and make an informed decision on how to sell their home. Property marketplace TheHouseShop attracts tens of thousands of buyers who are looking to buy property in Wednesbury in West Midlands and the surrounding areas every day. 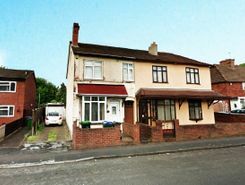 Disabled home hunters can use TheHouseShop.com to search for wheelchair accessible and adapted homes for sale in Wednesbury in West Midlands and the surrounding areas. TheHouseShop showcases accessible properties and new homes for sale from some of the foremost property developers in Wednesbury in West Midlands. TheHouseShop showcases a variety of cheap property for sale to thousands of buyers who visit the site everyday. Buyers will find a variety of Shared Ownership properties in Wednesbury in West Midlands, with a selection of cheap houses and new homes for sale. 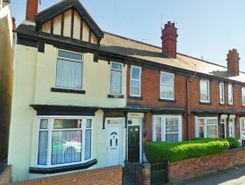 Buyers can get an estimated house price for any property for sale in Wednesbury in West Midlands by using TheHouseShop's free online valuation tool to find out how much any home is worth. Whether you want to buy, sell, rent or let property in Wednesbury in West Midlands, TheHouseShop is your one stop shop for all your property needs.